Rangers say Scottish football should move on from last week's Employee Benefit Trusts (EBTs) ruling for "the greater good of the game". Her Majesty's Revenue and Customs won its appeal against the club's former parent company's use of a controversial tax scheme between 2001 and 2010. The Scottish Professional Football League's board has since discussed the Court of Session verdict. "There is no need for further SPFL consideration," read a club statement. "They should be saying it is time for everyone to move on and work together for the greater good of the game. Scottish football has suffered enough." 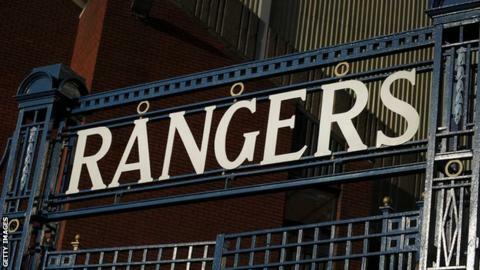 Questions have been asked about whether the scheme gave Rangers an unfair sporting advantage. A previous league investigation ruled it did not. In February 2013, a £250,000 fine was imposed for non-disclosure of player payments during the EBTs period, in which Rangers won five titles. "It is our irrevocable belief that this club's history, including its many successes, is beyond debate," added the statement from Ibrox. "Rangers cannot countenance or accept any talk, attempts or actions designed to undermine what this club has achieved throughout its long history. "Rangers has made it clear it wishes to reach out and work with all clubs to help revitalise Scottish football, which has also suffered in recent years. There is much to be done and Rangers wants to be part of the way forward. "Our game has to become more attractive to potential sponsors and partners if the finance levels required are to be generated but this can only be done if we present a coherent and united strategy. Therefore, a line must be drawn now if we are all to prosper."